Xuan Yuan saw the King Piggy expression, it made him felt sorry for him. Even though this fat piggy was very greedy, but he was loyal to the Devour King, as the Holy Beast, he was born in holy, of course, both of them had a different point of viewed about love. This fat piggy didn’t expect, the Devour King who only had enemy whole his life, when he was surrounded by the enemy, someone could come and save him. That person was Devour King rival. “ At first, I think the one that will save the king is someone who use to be saved by the king, but I never think, the one who will save him is his rival. If the king’s father in heaven knows, he will be so grateful” Said the greedy old man inside Xuan Yuan body. 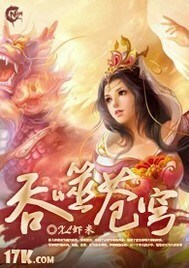 Xuan Yuan remained silent, Qian Duo Duo thought the King Piggy was very powerful. The situation felt serious, then the King Piggy cried hard, punched the land, and screaming as if he had just lost his father and mother. He knew if he stayed longer here, Ying Zheng Luo’s father couldn’t stay longer and it would add his burden. “Let’s go.” Said the King Piggy, his body still surrounded by exclusion spell, seemed like the Devour King had become more powerful. The spells surrounded Qing Long Xian mountain, it made them liked enter other dimension, and it made the mountain spread unknown power. Qing Long Xian Mountain was made of an ancient dragon cage, it combined the power of heaven and earth, became dragon pulse, every inch of the mountain was surrounded by spells. “ HAHAHA, the ancient blue dragon’s thought had controlled all the Qing Long Xian mountain in 50 km.” Said the King Piggy, he had known about the dragon moved, before it started the spell, the king piggy had brought them out. The Monkey King knew that his duty had already done, he then went. “You Xue is okay, he guards outside the forest, looks like that two Emperor Dragon ridge very helpful, just 2 years, he has reached the battle emperor level 4, hahahaha, I’m really happy.” Said the greedy old man laughing. “What?” Xuan Yuan didn’t think that You Xue didn’t die, he even reached level 4 battle emperor from level 1, just within 2 years!! “ That’s not weird, he is chosen as Yin family’s emperor guard, he must be special, everyone who inside their body have the blood of the Dragon King, their battle skill is very amazing, even though we don’t know what he have gone through but it really has a big effects in his life.” Said the greedy old man. “Yes, let’s go meet up with him.” Said Xuan Yuan. As soon as they went out from the dimension, they had come to Qing Ming land, as they had already gone out, the screamed of the beast was heard from inside. Apparently, as the spell didn’t work, beasts would enter the land, when Xuan Yuan had gone out, the spell and the land would work at the same time, and destroyed all. “Jiang Yi Tian bumped into Da Xian Yuan, he then goes to the mysterious house, gets the inheritance, he gets stronger now, just 2 years, he has reached level 7, just a little bit, he’ll reach the last level as the battle emperor, people say that master you’ve already died in the Qing Ming Land, so you can’t battle with Jiang Yi Ran.” Said You Xue. “Yes, she brings all the guards, wants to find you, but I block them, she wants you to know, when you’re out, go to the Yin’s house.” Said You Xue. “Ok, anything else?” Asked Xuan Yuan. “Yes, Yin Zheng Luo accept the marriage with Hai Ya, it will be held as soon as possible.” Said You Xue. “What! It can’t be, what’s going on?” Asked Xuan Yuan. “I don’t know the detail.” Said You Xue. Xuan Yuan knew, this news couldn’t be true, Five God Organs Amulet was very hard to be made, even the Five God Emperor wanted to make it, wasn’t easy, if the Yin family wanted to be saved, they had to rely on Five God Emperor to make the amulet. “ No master.” Said You Xue. The King piggy used his power, light covered them and took them straight to where they wanted to go. This is the center of Dynasty Dong Huang Zhou, it represented the Dynasty highest society, in here, even the street guard was Battle Emperor best fighter. This was the place of the strongest, the news about Yin family and Hai family marriage had become the breaking news. Hai Ya was afraid if someone didn’t know, he told his guard to spread this news, he wished the more people come the better he felt. Now all people in the city was talking about them. Suddenly, the crowded was amazed.